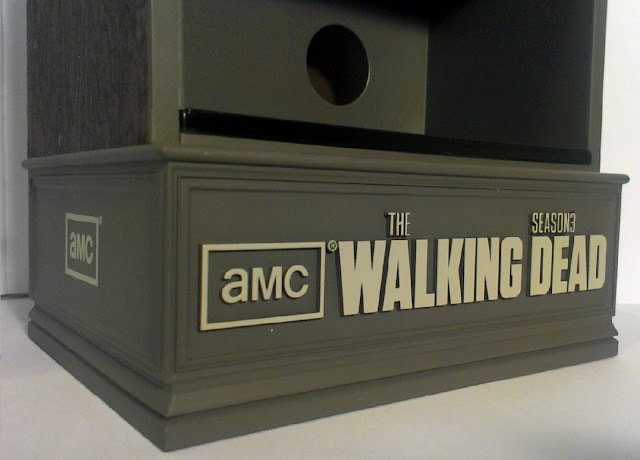 The box is pretty much identical to last season's set. Since I've already covered that I didn't feel like beating a dead horse (or would it be a zombie?) so let's move on to what's inside. Now I'm not exactly satisfied with these pictures as I feel the set looks much better in person, but until I get some better equipment I guess these will have to suffice. This thing is amazing, one of the best region one/A releases of the last few years. 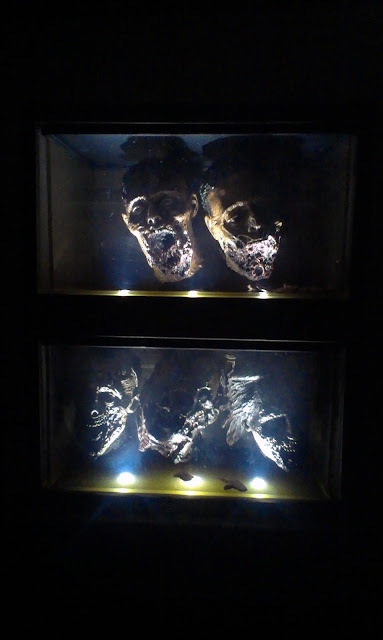 For those who might not be caught up with the show or familiar with the comic there's a pretty interesting character who goes by "The Governor" and he has a nice collection of undead heads gracing his living quarters. Why the fish tanks and water? Ambience possibly? Or better yet maybe taking a trip down to the local petco for some nice big koi is a bit of a chore in a post-apocalyptic world. 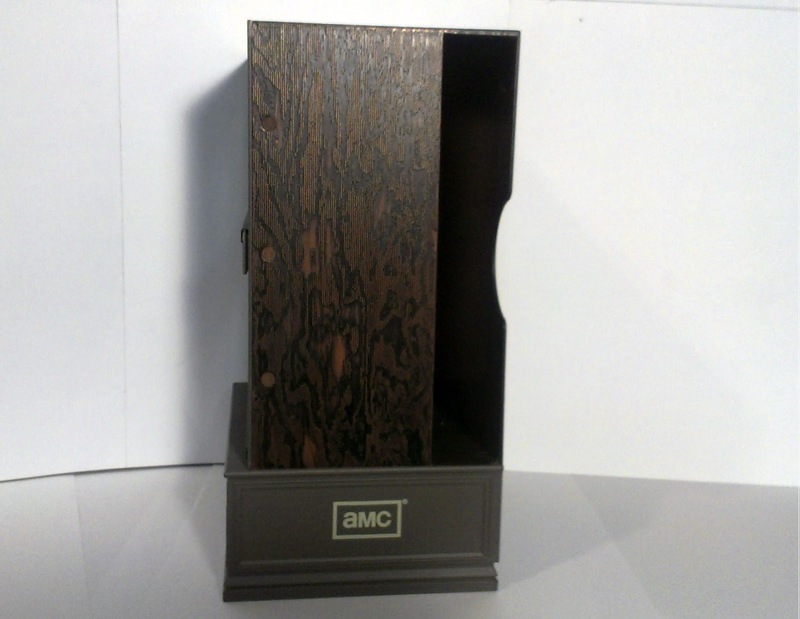 The tanks are housed in a big plastic shelf with a nice faux wood finish. In the very back of the shelf there's a slot allowing the storage of the season 3 digipack. Each aquarium has a lid that seals on pretty tight (think tupperware) allowing you to load the tanks full of water. There's also bits of flesh in the tank that can float around, kind of reminding me of Mutagen Man toy from the 90's TMNT line. Extra points for that, Mcfarlane. 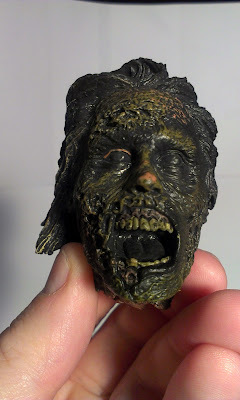 Each head has a small spring that attaches to the aquarium giving each one a "bobbing" effect. While they're meant to be displayed in water I'm kind of afraid that the prolonged submerging of these would cause the springs to rust along with damaging the paint. It's damn tempting though, and it's possible the company used some sort of water sealant on them to prevent this kind of damage. 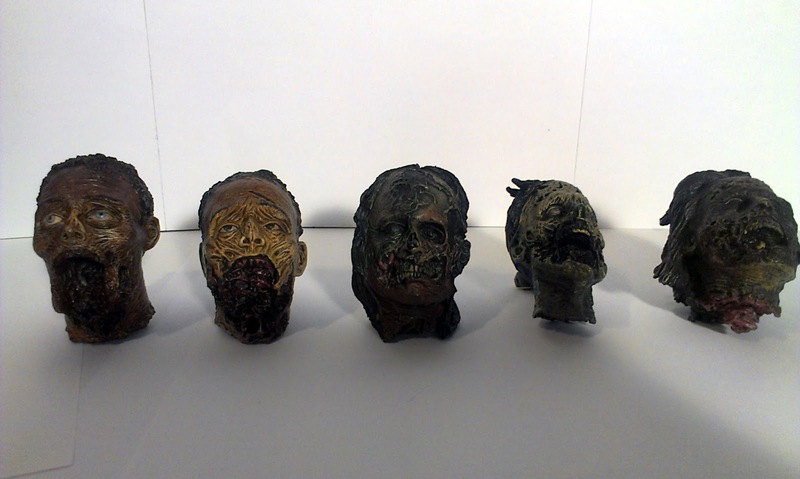 The detail is definitely there, each head looks sufficiently rotten. 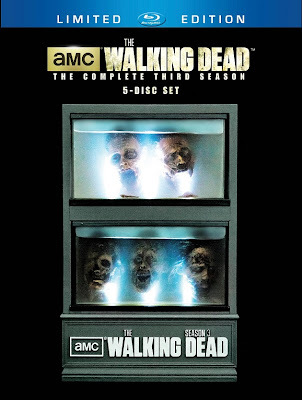 To see the whole thing illuminate all you have to do is press the "3" above the 'Dead logo. The set requires four AAA batteries which are not included. 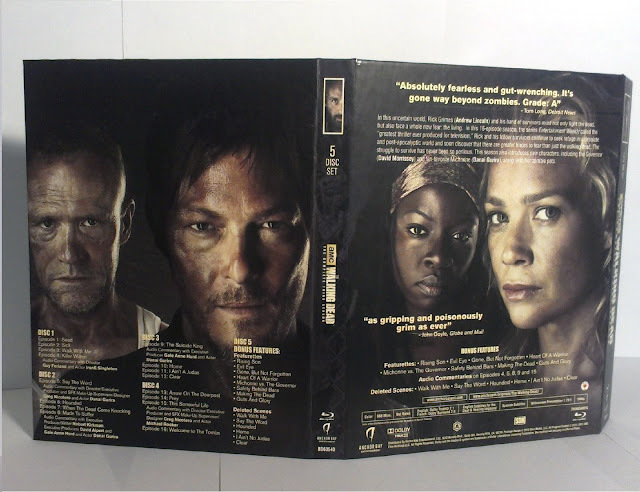 Moving onto the digibook. It's a bit thicker than season two and it also feels nicer. It's got a flat finish and the series' logo is bright and embossed. The back of the set has a synopsis of the season while the first flap has the contents of each disc. 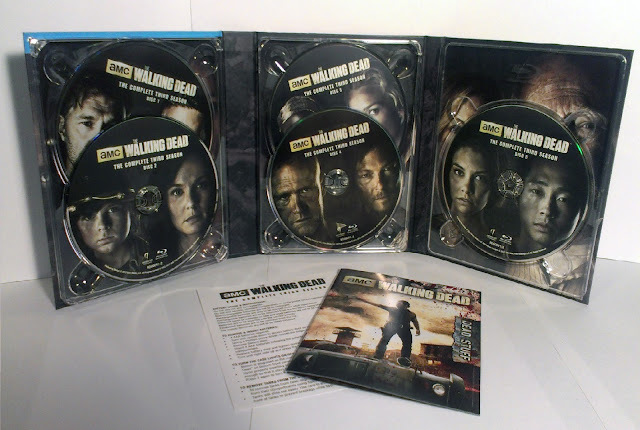 The layout of the digipack is pretty typical as far as season sets are concerned. 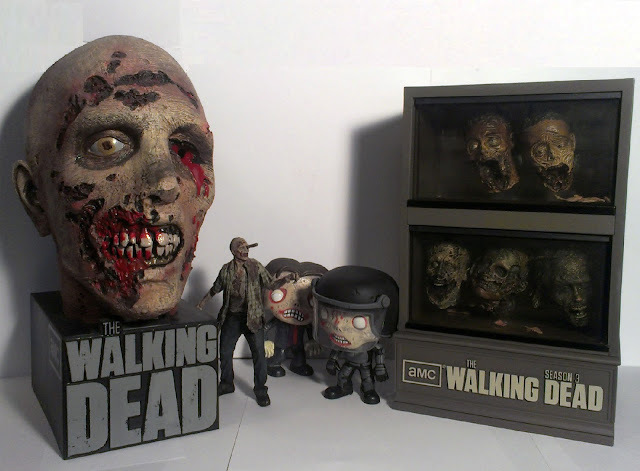 Included is an instruction sheet and a small Dead Stuff merchandise catalogue, the latter is a nice bonus since it's not like you've just spent almost $100 bucks on a TWD item recently. Oh wait. For the price I personally think it's a fair deal. 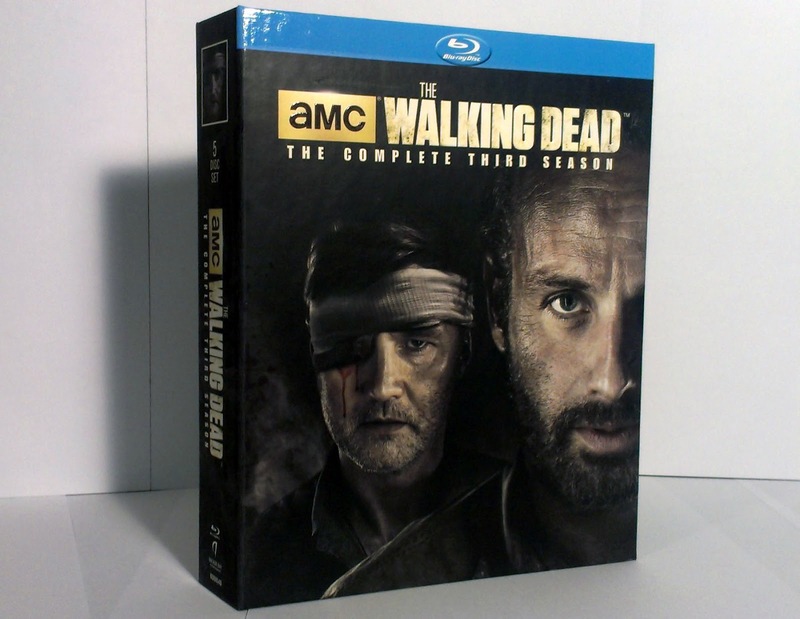 New season sets are generally in the $30 - $40 price range so it's not dramatically more. 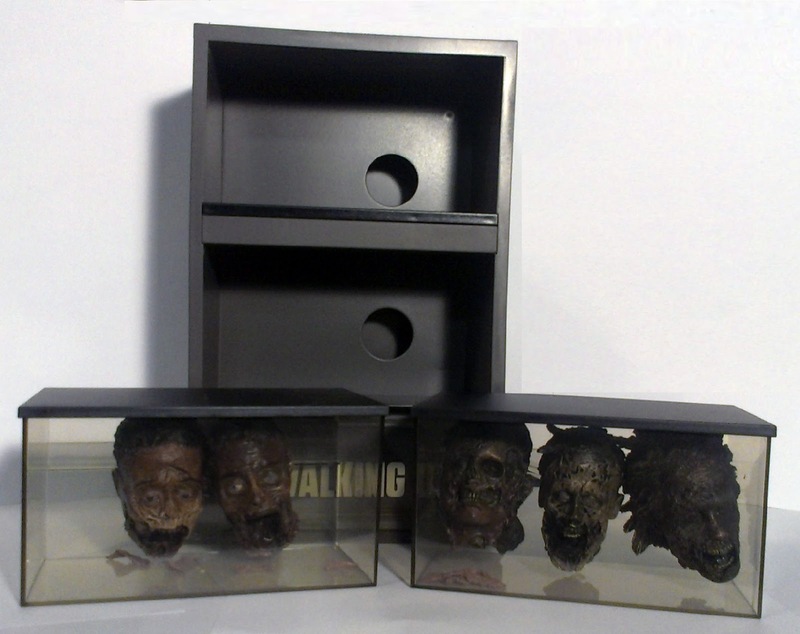 For an extra $30 or so you're getting a big plastic case full of decaying zombie heads. 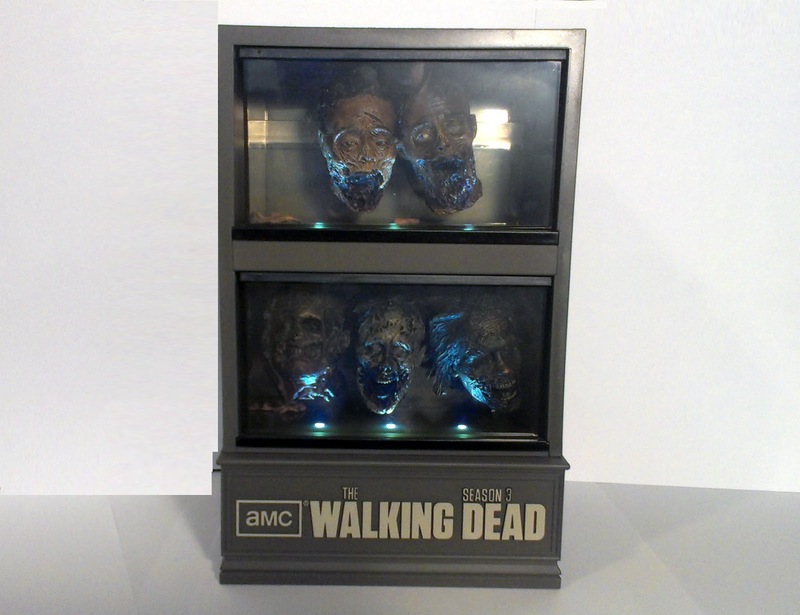 It makes an excellent display piece and is sure to please any fan of the television show. It's a very cool collectible, it's sturdy, quality, and well worth the money, your nephew is going to love it!